Products and services are offered through SYS is the trade name used by registered company. 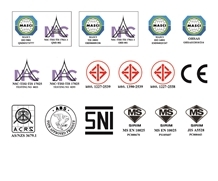 Group Companies, non-bank affiliates of Siam Yamato Steel and is intended only for Thailand residents SYS is offered through Siam Yamato Steel Company Limited registered in Thailand. Copyright © 2016 Siam Yamato Steel Company Limited. All Rights Reserved.